Christmas break starts tomorrow, so today’s school day is one big party. To celebrate, Fuzz is giving her teachers little boxes of cookies which I made yesterday during a sudden wave of craftiness. I think its cyclic. I wish I’d have more waves of craftiness. Anyway, here’s how it works. 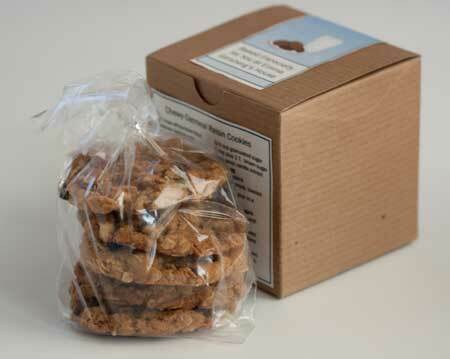 The cookies are wrapped in cellophane and stuffed in a decorated box. The were from a site called My Own Labels. The 4×4 size was 12 for $6.00 or about 50 cents a box. I could have designed the labels on the site where I bought the boxes, but I wanted to see what I could do on my own and ended up using PowerPoint 2010. 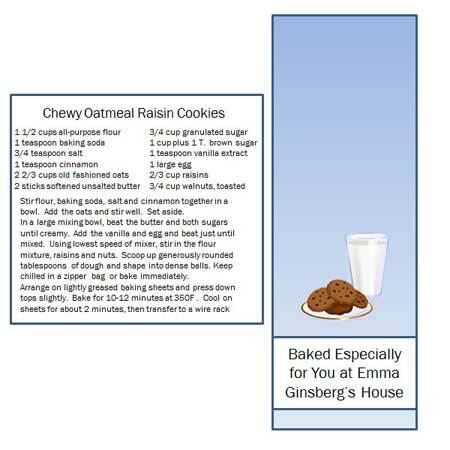 One panel of the box features the cookie recipe (which I laminated), and then I made a big vertical label to drape over the top and down the side. It was a fun project. Now I need to see if I can find the boxes for less than 50 cents each. I’ll probably have to buy 1,000 or something…. Hopefully Fuzz’s teachers will like the oatmeal cookies. The kids are getting rainbow cookies, chocolate chip and French macarons. Check out brpboxshop.com or google big river box company. 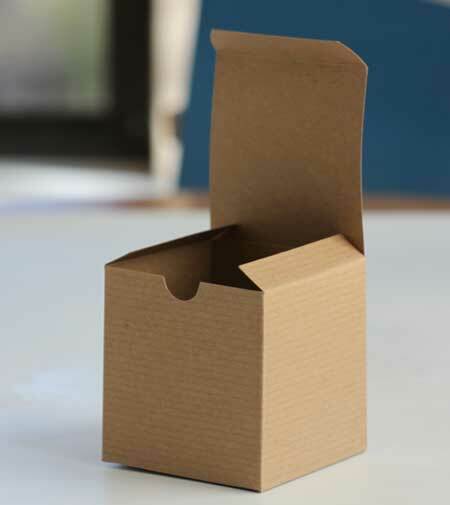 They’re reasonably priced (w/ free shipping last time I bought my boxes). Really cool, Anna! I like that you gave the recipe. Very cool and chic packaging. I think homemade presents are so much nicer! Can I just say that those are some really lucky kids!! Rainbow cookies and macarons, in addition to the chocolate chip!! Ooh la la! Thank you so much for this idea! 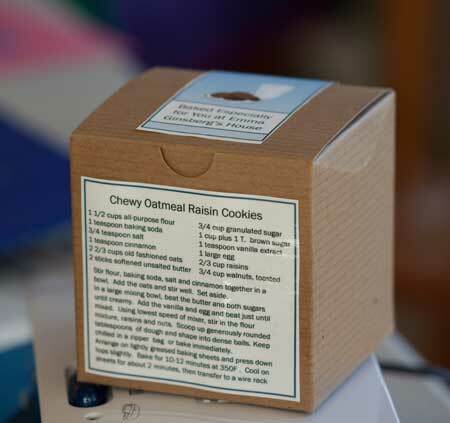 I have had trouble packaging my cookies and always worry that people will want to know the ingredients of what I’m giving them. This is such a wonderful solution! They are all packed for this year, but I will bookmark that website for when I give my next cookie gifts.